If you’re thinking about having batt insulation installed in your home in Charlotte, North Carolina, turn to the experts at 31-W Insulation. Since 1972, we have been the company of choice throughout the southeastern United States for a variety of home improvement needs, including insulation projects. Our time-tested installation methods and top-of-the-line materials offer you the best option when it comes to properly insulating your home. 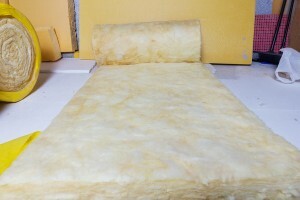 When you choose 31-W Insulation to install the right level of batt insulation in your home, you’ll enjoy numerous benefits. Since insulation helps prevent heat transfer into and out of the house, your HVAC system won’t have to work as hard to heat the house in winter or cool it in the summer, leading to savings in your monthly utility bills. Proper insulation also helps distribute the air more evenly, so that interior temperatures aren’t just more comfortable but also more consistent throughout the house. Additionally, insulation made from fiberglass is naturally fire resistant and water resistant, helping to prevent potential damage to your home. For more information on the benefits that come with having our professionals install new batt insulation in your Charlotte, NC, home, contact 31-W Insulation today.